LSAT Logic Games Bible Kills It Again in 2016! This book give you a straight-forward, fundamentally correct approach for doing the logic games section quickly and accurately. You won't find a superior system on the market. Those using Kaplan or Princeton Review books will be much better off switching to this book, even if they are well into their LSAT prep. 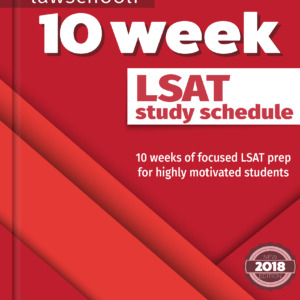 The PowerScore® LSAT Logic Games Bible has long been the LSAT prep book most frequently recommended by top scorers to prepare for the notoriously tricky logic games section of the LSAT. Now, PowerScore has revised the book with more 228 pages of new material, including new drills, more logic games for practice, and expanded discussion of some of the key concepts. MY SHORT REVIEW: This book give you a straight-forward, fundamentally correct approach for doing the logic games section quickly and accurately. You won’t find a superior system on the market. 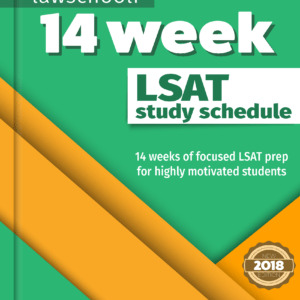 Those using Kaplan or Princeton Review books will be much better off switching to this book, even if they are well into their LSAT prep. Joshua and I each have our own history with the Logic Games Bible: When I started out prepping for the LSAT using other books, I was still missing 6-8 questions (a whole game’s worth) on a typical LG section. After I switched to the Logic Games Bible I made rapid improvements, eventually getting it so I consistently hit either one or none wrong on practice tests (I ended up getting only one LG question wrong on the actual test). Josh had a similar story, and ended up getting no LG questions wrong on the actual LSAT. How does this book work so well? It does two things superbly: First, it gives you fundamentally correct methods for quickly diagramming logic games in a way that is intuitive and error-minimizing. This is the core of why the book is so effective. Secondly, once the book gives you the basics it then goes in-depth on every concept to make sure you can recognize and handle advanced features. Books that attempt to explain the logic games section in a smaller space such as Princeton Review’s ‘Cracking The LSAT’ will not sufficiently prepare you for the intricacies of the logic games section. The Logic Games Bible also provides plenty of practice with real LSAT questions. 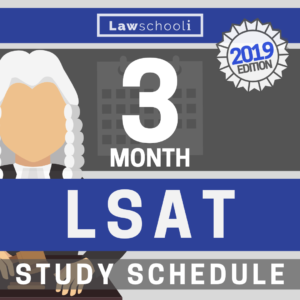 If you ask any LSAT prep expert, they will inform you that fake questions do not do the job of properly preparing you for the actual exam. Yes, it’s saves prep companies money to use fake questions and those books will be cheaper, however, it’s never worth the savings to cheat yourself out of effective practice. For a closer look at the contents of the Logic Games Bible, click on the various chapters below. This will also provide beginners with an idea of the various skills needed to attack the logic games section. Each real question in this book gives you a full explanation of the set-up (diagram) AND a full explanation of how you should think through that problem. As a consequence, you will know how a 170+ scorer approaches problems by the time you work through this book. A further note on this book versus other books that teach the logic games section: we are also big fans of the Blueprint for Logic Games (read our full review here). If you have started with Blueprint’s book you will be fine sticking with that throughout your prep. However, those who have started with Kaplan or Princeton Review’s offering are advised to switch right away. We could elaborate hose books just don’t give you what you need to master this section. While they have some good advice, as a beginner you’ll never know which parts are sound and which are flawed. You are much, much better off with a book such as the LGB that disinterested experts agree is of top quality. (as far as the books alone) could there be questions in certain prep books that are actually harder? or maybe one book does not have real official LSAT questions? 1) I tried Kaplan’s book and I did okay on the practice sections, missed a few here and there but still not terrific, but I was also just starting out. 2) Then I tried PowerScore and I KILLED almost all the practice Q’s for each of the Bible books. Almost no questions wrong everytime. 3) Then I tried Princeton, and it’s like I’m lucky if I get 3 or 4 right in an entire section. 4) I then tried Powerscore again, as an experiment and it’s the same thing. I only miss 1-2 or a small few total. I’m trying not to freak out or get myself confused because for the most part I feel confident that I understand all the sections. What could be the reason for this??? Can you compare the older version of this book to the new one? I’m debating whether I should spend the money and buy a revised copy. What do you think?